Dragon Kings is a rules-neutral RPG setting that's up on Kickstarter now. This single 160-page hardcover volume (or PDF) presents Khitus, the world of Dragon Kings, as a complete role-playing game setting. It describes all the important nations and rulers, its guilds and sects, its landscapes and monsters -- everything heroes must confront and deal with as they adventure across this formidable, desert world. 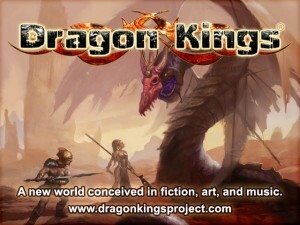 The book is expertly written with full-color illustrations and maps from the experienced Dragon Kings Team.